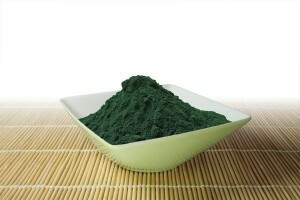 The benefits of spirulina is helping balancing your diet, keep or regain tone and helps your body to better defend him. It helps fight against oxidative stress largely responsible for autoimmune diseases, degenerative diseases and allergies. It has rejuvenating properties: it contains antioxidants (zinc, vitamin D …) protect against free radicals, enemies of our skin cells. It also contains large amounts of beta-carotene: the precursor of vitamin A, essential for healthy skin, and its action against skin dryness is scientifically recognized. It strengthens the immune system: its richness in antioxidants (beta-carotene and vitamin E) and carbohydrates effectively stimulates the immune mechanism. Recent studies have shown that taking spirulina healthy volunteers multiplied by 13 their immune cells after 72 hours. Also effective in the fight against tiredness because it fills gaps in vitamins,minerals and trace elements.It is especially indicated in cases of anaemia due to its high content of iron, easily assimilated by the body. 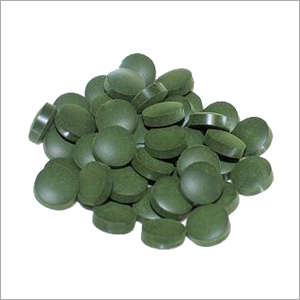 Spirulina is concentrated energy: its contributions in iron, vitamin B12, beta-carotene are therefore of great interest in sports, especially in terms of muscle oxygenation. The purifying activity of pure spirulina allows quick and efficient removal of pollutants and lactic acid. It thereby allows an increase of energy and faster recovery after training or competition. It enriches the bacterial flora of lactic acid bacteria(LAB), which prevent constipation and diarrhoea,stimulate the immune system, provide protection against a number of pathogens,regulate cholesterol levels in the blood and reduce intolerance lactose. It regulates cholesterol because of its high omega 6.In addition to this advantage,these essential fatty acids favour the dissolution of cholesterol deposits in the arteries,cause of heart attacks .Spirulina also contains vitamin PP which would influence the decrease of LDL-cholesterol (the bad one) and increased HDL-cholesterol (the good one). Accompanying treatment monitoring of cancer,insulin-dependent diabetes and haematologic people who regularly consume Spirulina would be more protected cancer and its recurrence: stimulated the immune system fight more actively against the uncontrolled proliferation of cancer cells.Furthermore, Spirulina contains a protein which can help in the destruction of cancer cells.Spirulina helps regulate sugar levels in the blood because it is rich in essential fatty acids and polysaccharides,it can help to control diabetes type 2. The role of phycocyanin: Chinese researchers have shown that phycocyanin, the respiratory pigment protein unique to spirulina, takes place within the bone marrow, the seat of erythropoiesis stimulating the development and differentiation of stem cells, red and white blood lines. This findingis corroborated by a Japanese experience after the Nagasaki bomband another Russian,after the explosion of the Chernobyl plant. Japanese patients of Saint Francis Hospital in Nagasaki have been treated by Dr.Akizuki Tatsuichirowitha strict diet of brown rice, miso, seaweed, wakame and kombu and spirulina. In Belarus, between 146 000 and 1600000 children treated with 5 grams of spirulina a day for 45 days at the Institute of Radiation Medicine in Minsk saw their rate of irradiation fall. Children breastfed for a long time (eg one year) withdrawal can be accomplished without passing cow’s milk, and in this case the contribution of spirulina daily is valuable. It is a perfect food appetite suppressant. Indeed, it contains 70% of proteins that promote the transmission of satiety signal to the brain, which helps to control weight. Spirulina is a friend of your eyes: its richness in carotenoids (pigments precursors of vitamin A) and antioxidants (vitamin E) make it an effective agent against certain disorders of vision (cataract, glaucoma, AMD …).